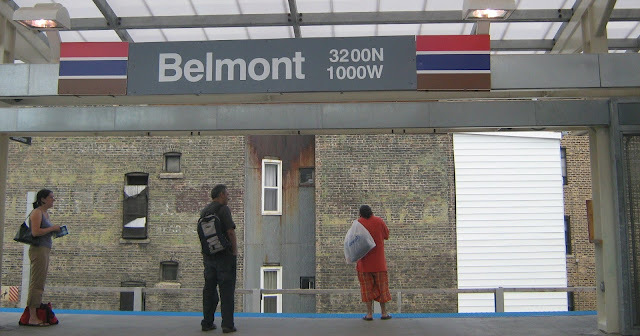 Charges are pending against a 29-year-old man who was arrested this morning with an assault rifle at the Belmont Red Line station, 945 West Belmont. Officers responded to a call of a man with a gun on the southbound platform around 6:30 a.m., according to the department’s News Affairs office. The man was found in possession of an assault rifle “with a huge clip,” a witness said. A police source said the man had “an AK-47 tied around his neck” when officers arrived. The offender had suffered a gunshot wound in recent days, according to a second source. CWBChicago will update this story when charges are finalized.